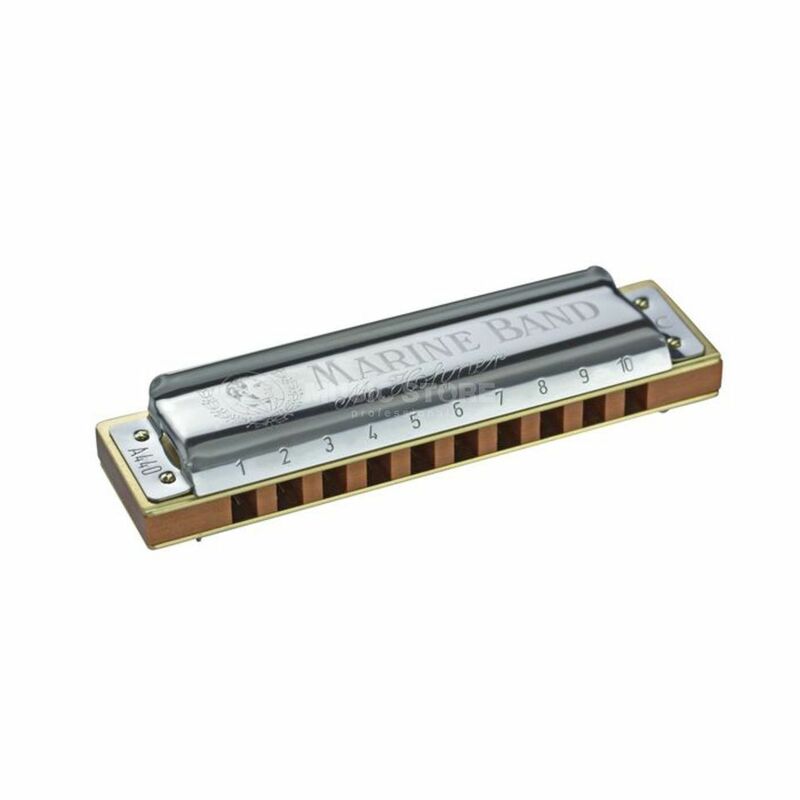 The Hohner Marine Band Classic G 20-Tone Harmonica has been a constant go-to tool since its introduction to the world. Played by iconic figures such as Little Walter, Paul Butterfield, and Bob Dylan, it remains the top choice for the top professional, as well as aspiring musicians around the globe. Relying upon over a century of German craftsmanship and tradition, this harmonica has been universally recognized for its full tone, musical range, and distinctive wood comb. Let your musical expression be a part of the continuing Marine Band legacy. Begin your journey into the world of harmonica with the legendary Honer brand est. 1871. Solid construction with traditional styling. Numbered diatonic scale. Ideal for beginners or seasoned professionals. Loud, clear tone. Key of G ideal for folk, blues. rock and country tunes.